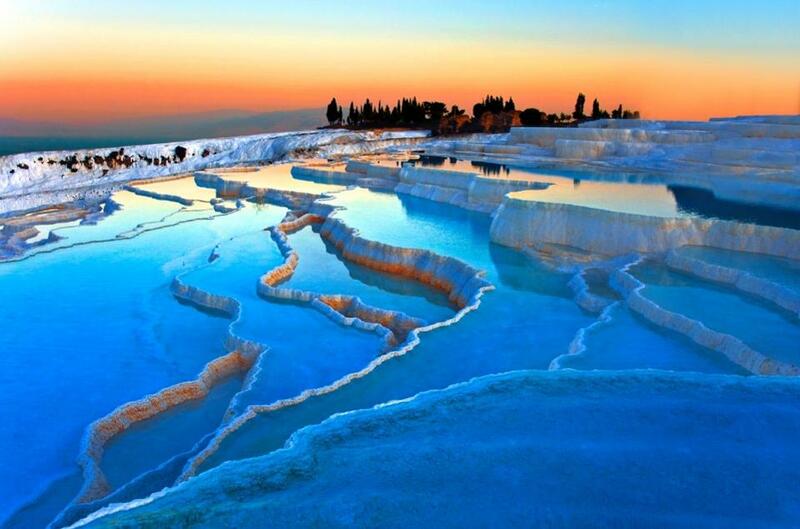 Pamukkale in Turkey is an incredible display of natural travertine deposits. Travertine is a type of limestone that is deposited by hot springs. The fibrous travertine forms from precipitation of calcium carbonate from solution. Pamukkale was recognized as a World Heritage Site in 1988.